Spanish researchers have developed a system that tracks human displacement caused by climate change using the tracks of mobile phones. With this model, which was tested during a severe drought in Colombia in 2014, it was determined that the portion of the population that migrated due to this event was 10% during the six months of the study. Natural disasters such as earthquakes and floods cause sudden population movements, as people try to find safe areas or follow government instructions. These changes have already been captured and modelled using geo-located tweets or cell phone records. Now, Spanish experts have applied the smartphone migration tracking system for the first time to a more long-term phenomenon such as climate change. 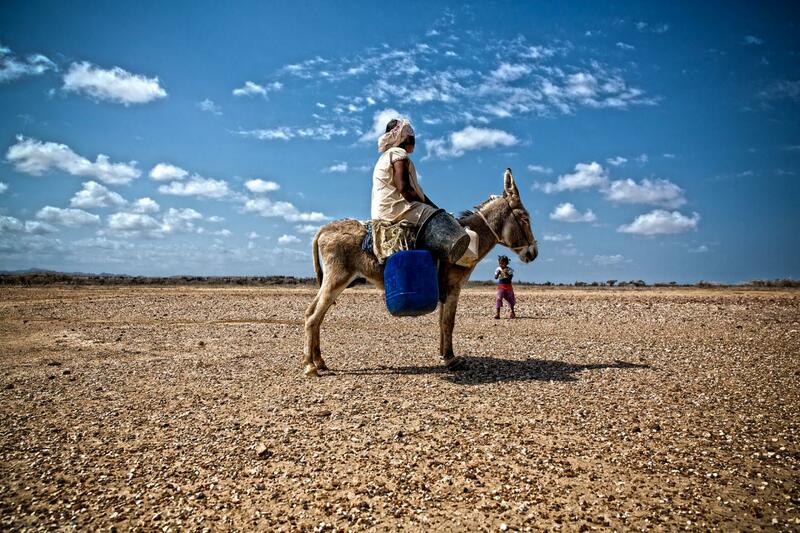 The study, in which Enrique Frías-Martínez, researcher at Telefónica Research, in Madrid, Spain, has participated, has used aggregated and encrypted cell phone metadata to predict the migration caused by a severe drought in 2014 in La Guajira, Colombia. La Guajira is a rural department located in northeast Colombia, on the border with Venezuela, and is mainly inhabited by the aboriginal population of the Wayuus. As Frías-Martínez explains to Sinc, in the research, which received funding from the National Science Foundation of the USA, cell phone traces were used "to identify population flows in the municipalities of the area affected by the drought". This information -he adds- "was then used to monitor migrations using radiation models, which take into account not only the characteristics of the population and the distance between origin and destination, but also the economic opportunities of the place where they end up". On the basis of this solution, the authors proposed a variation based on considering the climate of the destination area as an addition to the concept of economic opportunity to predict the migrations caused by climate change. The conclusions of the work, says Frías-Martíbez, "indicate that the percentage of the population displaced during the drought in the Colombian region was 10% during the six months of the study." The results also highlight that the climate of the destination areas plays a minor role in that decision. "The flows mainly went from rural areas to urban environments within the department itself, since urban areas offer better economic prospects and easier access to water and food," he stresses. "We have verified that, with cell phone traces, these migrations can be characterized with a success rate of over 60%, both in terms of the total number of people who migrate and the place where they move to." The researcher says that "since displacements caused by climate change -especially by extreme drought and soil erosion- are going to be increasingly frequent, this mobile tracking system could be very useful, especially if we take into account that these devices are already widespread in developing countries".